The idea of a “gateway” on the triangle parcel where Grand Ave connects with MLK appears in the 1993 “Adopted Eliot Neighborhood Plan”. 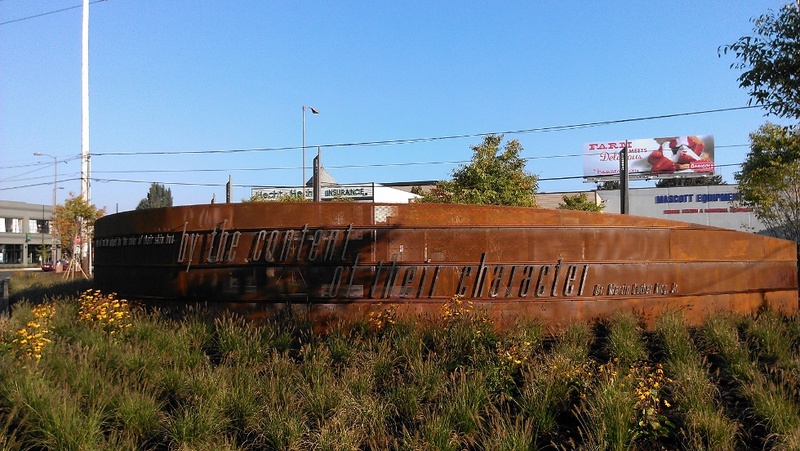 In August of 2012 the site hosted a dedication ceremony for the park which commemorates the history of the region as well as the namesake for Martin Luther King Boulevard. Finally, a primary entrance to Eliot Neighborhood and all of Northeast Portland has become what was envisioned long ago. The State requires the City to adopt and update a comprehensive land use plan for a 25 year future period. 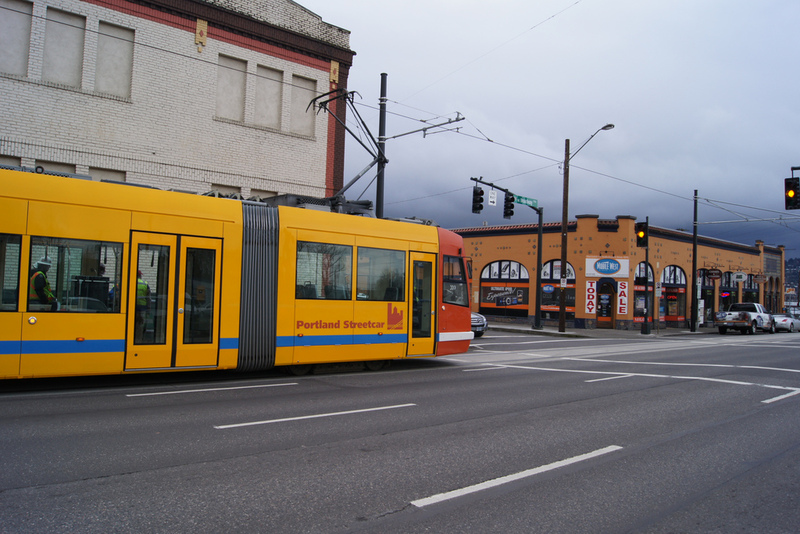 Multiple plans are embedded within this process, including transportation plans, district plans, and Portland’s Central City Plan. The City is in the midst of updates to both the Central City and Comprehensive (city-wide) Plans. Portions of Eliot are in the Central City and are covered by that Plan update, as has been described in this column for the past two years. The Central City update is proceeding in four stages corresponding to different quadrants of the central city. Eliot is in the Northeast Quadrant, which is the first part of the central city plan to be updated. That update is now complete after two years of meetings, in which Eliot was well represented. The final plan will go to City Council for review and approval in October, with the other central city quadrants to follow. October meeting of the Land Use and Transportation Committee (Public welcome) at Legacy Emanuel Hospital Room 1035. 6:30-8pm. What’s Happening on North Williams? You may have noticed the ‘Now Renting’ sign at the Albert just north of Fremont street or the dirt being pushed around just south of Fremont on the west side of N Williams for the future New Seasons Market. But these aren’t the biggest changes coming to our neighborhood avenue. The Portland Bureau of Transportation (PBOT) is in the process of applying for a $1 Million grant to make large changes in the right of way. Continue reading What’s Happening on North Williams? One of the hot button issues in the NE Quadrant Plan process was bike and pedestrian safety, particularly along Broadway near I-5. In response to a spate of recent vehicle/bike accidents and pressure from multiple parties, including Eliot, City staff have agreed to try and speed the adoption of some of the proposals in the Plan. One of these was to limit access to North Wheeler from Broadway as that has been a contributor to bike accident statistics. To do so the City erected temporary wooden barriers with “no right turn” signs.